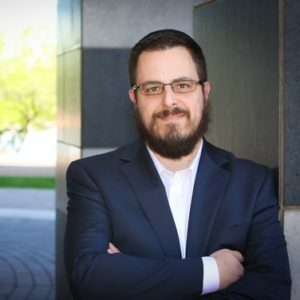 By providing your data center manager with an appropriate data center lift, rather than a warehouse lift, you enable your IT techs to move heavy, delicate, expensive servers safely and efficiently. A lift designed for the data center environment effectively navigates its narrow aisles, tall server racks, unprotected IT equipment, and interior finish. 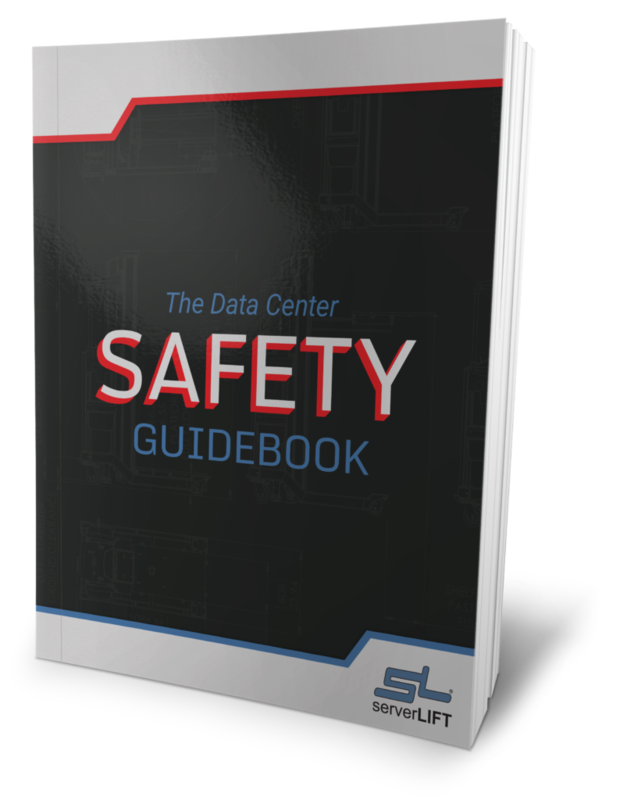 With a purpose built data center lift, they have the tool they need for the specific tasks that they perform, while protecting them – and your equipment – from dangerous falls. Material lift manufacturers have designed their lifting solutions for rugged warehouse spaces. They comply with the rules, regulations, and physical conditions of the warehouse environment. Wide aisles, large turning spaces, heavy-duty shelving, and goods with protective, disposable packaging demand less precision and control than server installations in a data center. These devices were not designed to handle expensive, sensitive IT equipment requiring precision positioning and support during installations. Most were not expected to protect finished, raised floors or maneuver through narrow server room aisles, like those in the data center. Warehouse lifts and jack trucks belong in warehouses because that’s the environment in which they were designed to operate. A data center lift keeps your employees, equipment, and environment safe when lifting and transporting heavy items, and it poses less risk to expensive equipment and infrastructure. 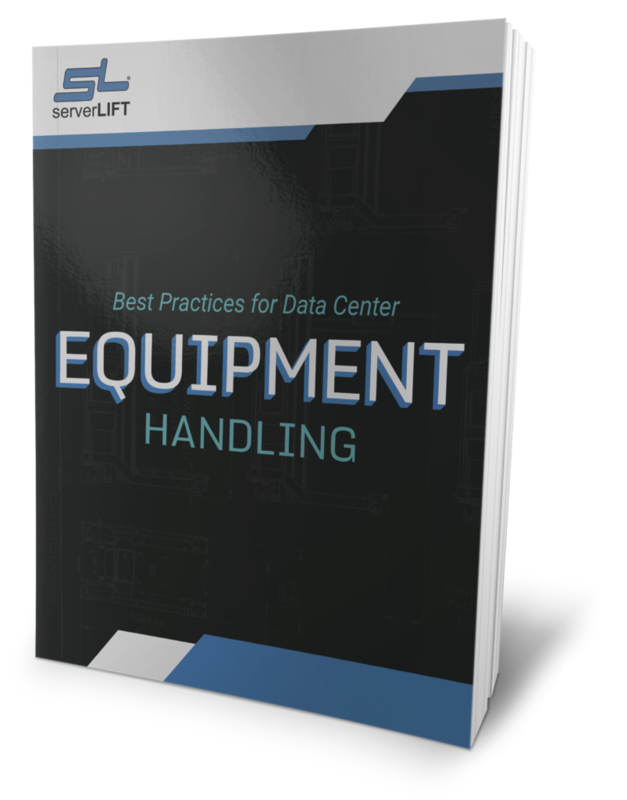 In order to eliminate all the manual, physical handling aspects of a tech’s job, a data center lift, unlike the warehouse lift, must carry out three essentially important functions – transporting, positioning, and installing/removing IT equipment – with gentle precision. Warehouse lifts were not designed to navigate in a data center. Their small wheels or low clearance may force users to unsafely tip the devices to traverse obstacles. Some warehouse lifts may not navigate effectively inside hot and cold aisle containment structures or modular data centers. Few have mechanisms to avoid hitting door frames, cable trays, ducts, or hanging lights. Your data center lift should have large enough wheels and undercarriage clearance to travel smoothly over thresholds, cable covers, elevator entrance-ways, ADA ramps, and floor grates. A purpose-built data center lift should provide multiple tie down points to secure your valuable cargo while your staff navigate the high and low obstacles and confined spaces unique to the data center environment. Designed for heft without precision, warehouse lifts cannot accurately line up a server with server cabinet rails or faceplate screw holes. Under weight, the lifts’ tines or platforms tend to sag and bend, making it impossible to keep the server level enough for installation. Many have imprecise, or even jerky lift movement, forcing you to have additional staff on hand to help manually reposition your hardware to properly align it. That’s when disasters can happen, and you don’t want damaged equipment, lost data, or injured employees because you bought a cheap warehouse lift. Correctly designed data center lift platforms, unlike warehouse lifts, have broad, planar lifting surfaces engineered from rigid, sturdy material that will keep the server level and firmly supported during installation. It should elevate your heaviest equipment without deflecting more than 0.5 degrees. 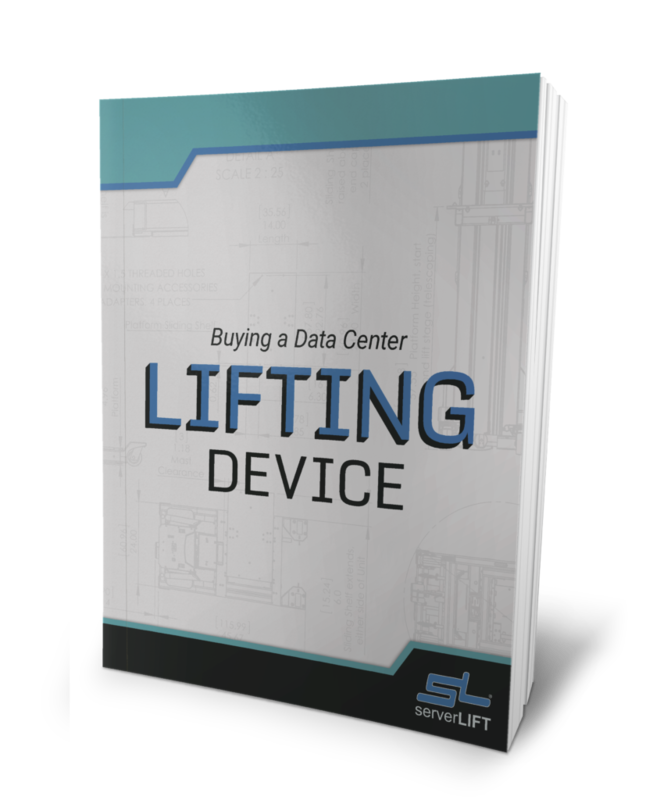 With a good data center lift, you won’t need three techs to position a heavy device; you’ll just need one. Material lifts do not effectively assist in the critical task of server installation and removal. They may not provide the necessary support and may even become unstable and tip over because they are not designed to handle edge loads. 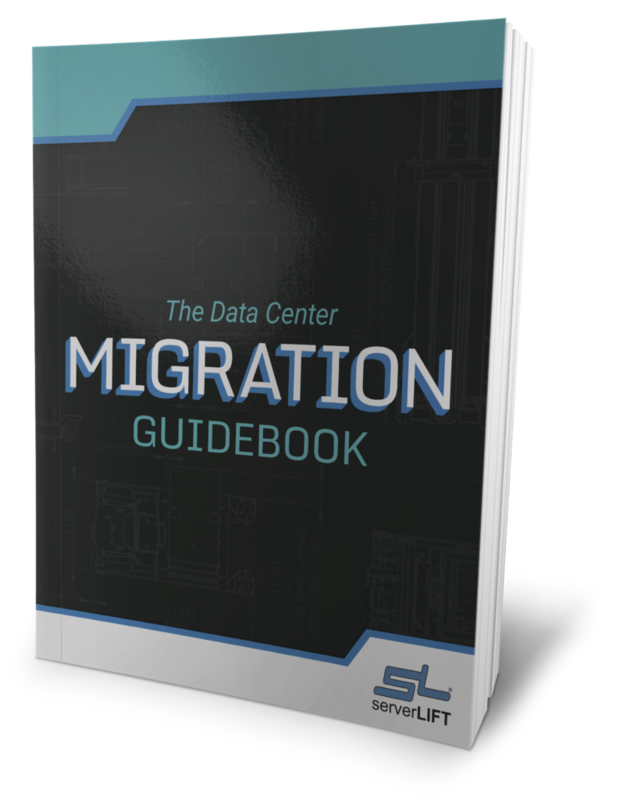 The ability to provide quick, efficient, stable installation support really sets the data center lift apart from the warehouse lift. Face-mounted servers and installation on fixed rails, for example, call for a data center lift platform that extends into the cabinet to support the equipment while you work. This perpendicular action, together with a reliable braking mechanism, should provide support for the server inside any cabinet or rack. Your lift platform’s edge should have a rated weight allowance of 40 to 60% of the full lift capacity for stable transfer of the server into the cabinet. 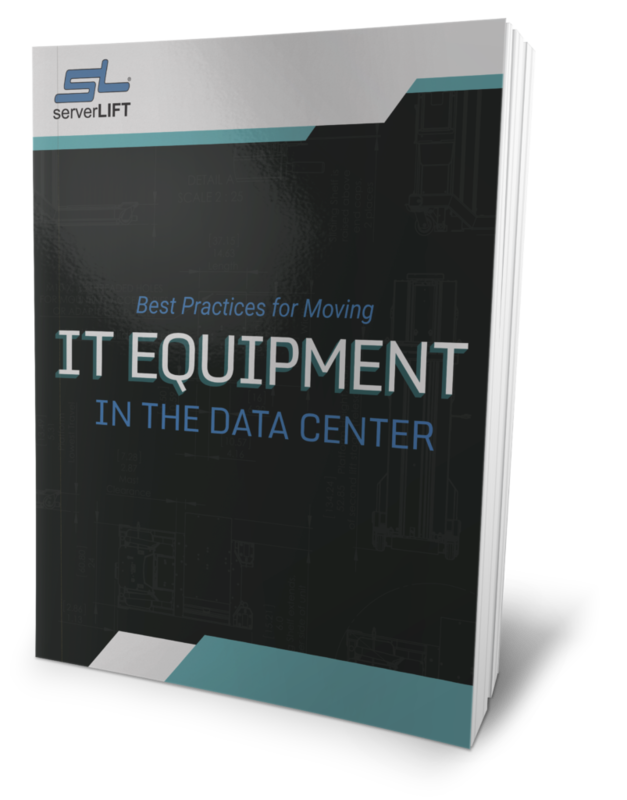 A good data center lift will allow for some sideways movement to install a heavy device into a server cabinet without sacrificing stability. A purpose-built data center lift allows your techs to install a server directly into the rack in half the time, without assistance. The lift bears 100% of the equipment weight and maintains the server in place, so your techs can safely concentrate on cabling and fastening. When comparing warehouse lifts vs. data center lifts, take into account the specialized design of the device that supports your IT equipment transportation, positioning, and installation: tasks that warehouse lifts cannot perform effectively amid data center obstacles.